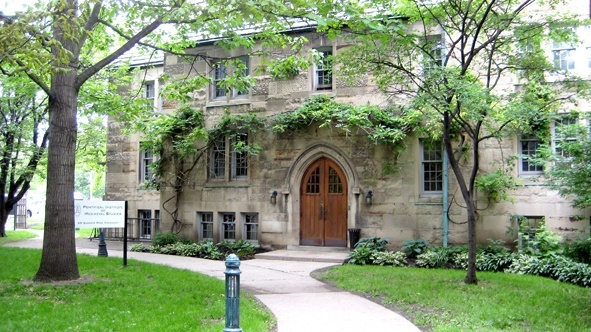 Long weekends are traditionally hives of activity at the Institute: presidents, fellows, and staff are found working eagerly away on the transformation of the world, or at least the world of medieval studies. The unseasonably cool Victoria Day weekend proved no exception. But amid the intelligence and industry was found a strange aberration. In the Common Room kitchen was spotted the Editor in Chief, unaccountably tie-less, and sporting ungentlemanly stubble. The Librarian, performing her early morning sacrifices, was scandalized by these sartorial misdemeanors: it did not bode well for editorial standards, and she soon had second thoughts about bringing the Catalogus translationum et commentariorum, which she had recently withdrawn from a rival press to bring to the Institute. The Chair of the Manuscript Review Committee was equally discomfited, averted his gaze, while announcing this act of discretion, and continued making his cappuccino. The Director of Publications, apprised of the situation on Tuesday, declared the entire situation unacceptable, and required the Editor in Chief to embark on an immediate translation of the Toronto Manual of Style into Latin, as fitting penance.